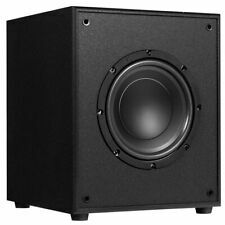 STARAUDIO Professional 2500 Watt 15" Raw DJ PA Speaker Subwoofer 4 Ohm Sub Woofer 51OZ Magnet. 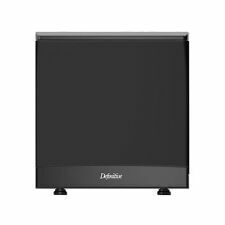 (1) 15" 2500W Subwoofer (1PC SDC-1550). 51 oz Magnet. Frequency Response: 25 Hz to 1.5 KHz. include all parts and accessories. This bose acoustimass 3 series iv is in very good physical and working condition. All electronics have been thoroughly tested, every component tested, stereo receivers, subwoofers, speakers, etc. have been tested for hours to ensure playability. TDX - 8" Down Firing Powered Subwoofer. Woofer Type: Polypropylene Cone. Woofer Size: 8". Woofer Quantity: 1. Down Firing Port: for deeper bass response and reduces port noise. Tired of watching movies without experiencing the sound the director intended?. "Closed-loop" design ensures optimum performance between woofer, amplifier and enclosure. If you need to quickly add bass to a system or want to alleviate the hassle of separate amplifiers and subwoofers, then the P300-12 is the right one for the job! Die-Cast Aluminum Basket. High Temperature Aluminum Voice Coil. High Excursion Cloth Surround. High Sensitivity. THX CERTIFIED AUDIO. Subwoofer: 130 W. Headphone jack: 1. 400 WATTS OF POWERFUL SOUND. Enjoy powerful sound that you can hear and feel. Supports multiple inputs simultaneously including 3.5 mm and RCA inputs. 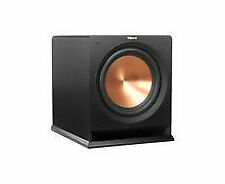 REL T5i Subwoofer in Pristine condition. Current model. NET WEIGHT. 10.5 x 12.5 x 12.7 in. (267 x 317 x 322 mm). 1.6 Amp semi delay 230 volts operation, 3.15 Amp semi delay 115 volts operation. 220-240 volts, 110-120 volts for certain markets. You cannot open an electronic item for internal parts. If it has been after an hour I will not cancel an order unless it was my fault for the cancelation. Apologize for the lengthily information but it is necessary. Works and sounds great! Used condition. Comes with power cord. REL’s electronics are the brains and power behind its success. But REL continues to set new standards with each new product line. 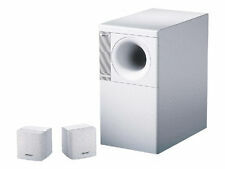 Simplicity is its own reward and the T/5i from REL Acoustics reduces the classic 'cube' subwoofer to its bare essence. Boston Acoustics 8" 8 OHM speaker\woofer. New item not in original box. 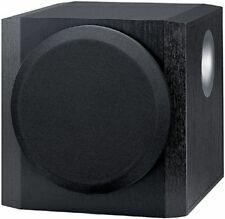 Replacement subwoofer for mc95, mcs100, soundware subwoofer and many more. 100 watts rms 8 ohm Original Boston Acoustics woofer OEM buy with confidence at a much lower cost. Use it for your personal computer or laptop, DVD player, TV, gaming system, MP3 player or other devices with RCA audio outputs (3.5mm to RCA cable included). 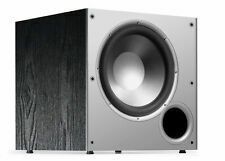 The powered subwoofer features a side-firing woofer and utilizes a digitally tuned wooden enclosure for increased bass response.